Semper Fi! The United States Marine Corps are visiting Michigan for Marine Week Detroit this week, and there is plenty of family fun to honor the bravest among us. The weeklong festivities will be happening through this Sunday, September 10 and all events are all FREE to attend. 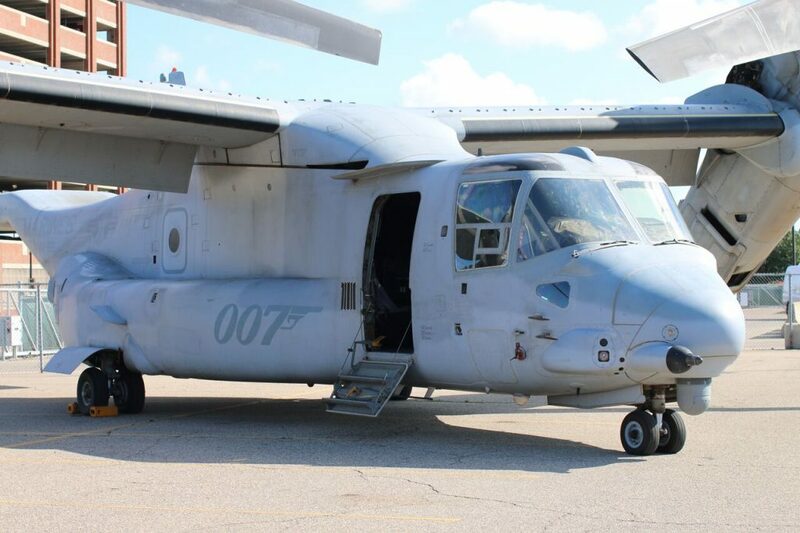 Local families will have the opportunity to climb aboard vehicles and aircraft in the Marine Corps inventory in the GM parking lot along Atwater Street in Detroit and shake hands with the Marines who operate and maintain the equipment. The displays will be open from 11 a.m. to 6 p.m. through Saturday, and 9 a.m. to 12 p.m. on Sunday. What kid wouldn’t want to check this out?! More on the line-up of events below! 7 – 8 a.m. | Cadillac Square, 800 Woodward Ave.
Work out alongside Marines during their morning physical fitness training. The training will require the use of your own body weight and will be self-paced. Exercises can be modified for any level. Bring water. 8 a.m. | Spirit of Detroit, 2 Woodward Ave.
Marines raise the American flag. 9 – 9:30 a.m. | Spirit of Detroit, 2 Woodward Ave.
Service members and Gold Star families will honor those who gave the ultimate sacrifice for our country with a wreath-laying ceremony. USMC amphibious assault vehicles, artillery, tanks and other displays will be stationed in Detroit. Displays will be located in the GM parking lot off Atwater Street. 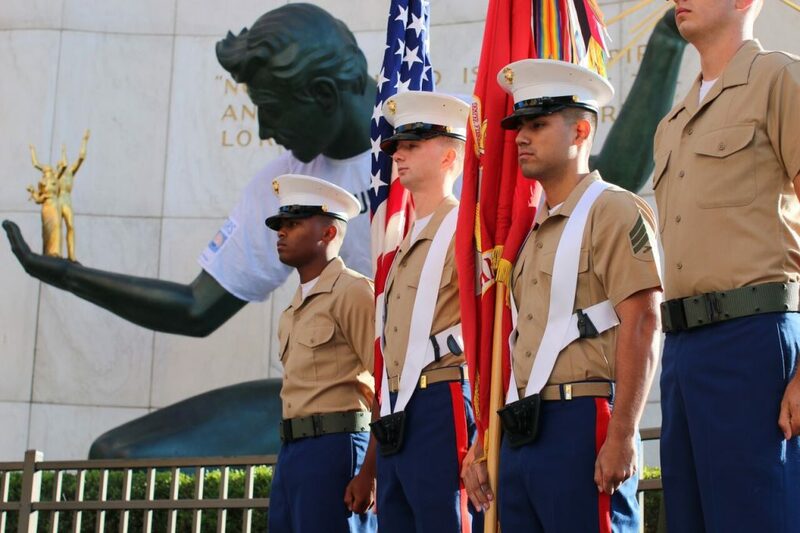 7 p.m. | Spirit of Detroit, 2 Woodward Ave.
Marines will lower the American flag at dusk. The Marine Corps will have martial arts and military dog handling demonstrations at the Detroit Riverfront behind the GM Renaissance Center. The Marine Band San Diego will also perform immediately before the Marine Air–Ground Task Force show. The Marine Air-Ground Task Force (MAGTF) demonstration is a military operations simulation that showcases the assortment and power of the Marine Corps. The purpose of the demonstration is to exhibit the coordination of all four components of the Marine Air–Ground Task Force. Visitors can expect to see rotary aircraft, amphibious assault vehicles, military vehicles and Marine infantry during the demonstration. Marine Band San Diego will perform following the Marine Air-Ground Task Force (MAGTF) demonstration. 6:30 a.m. – 4 p.m. | Eastern Market – 2934 Russell St. The Marine Corps will host a community cooking challenge from noon to 4 p.m. A USMC Expeditionary Field Kitchen will be on site for guests to tour from 6:30 a.m. to 4 p.m.
9 a.m. – Noon | YMCA of Metropolitan Detroit – 1401 Broadway St. The Marine Corps Recruiting Command will host a youth basketball clinic at the YMCA of Metropolitan Detroit. Attendees will work through six training stations with Marines and All-Marine basketball players. The Marine Corps Recruiting Command will host a 3-on-3 women’s basketball tournament at the Quick Loans Sports Zone in Cadillac Square. 10 a.m. – 3 p.m. | Cobo Center, 1 Washington Blvd. The Marine Corps Recruiting Command will host a wrestling clinic at the Cobo Center. Drumlines from local schools will participate in a competition hosted by the Marine Corps Recruiting Command. Marine Corps Band San Diego will open the competition with a performance. 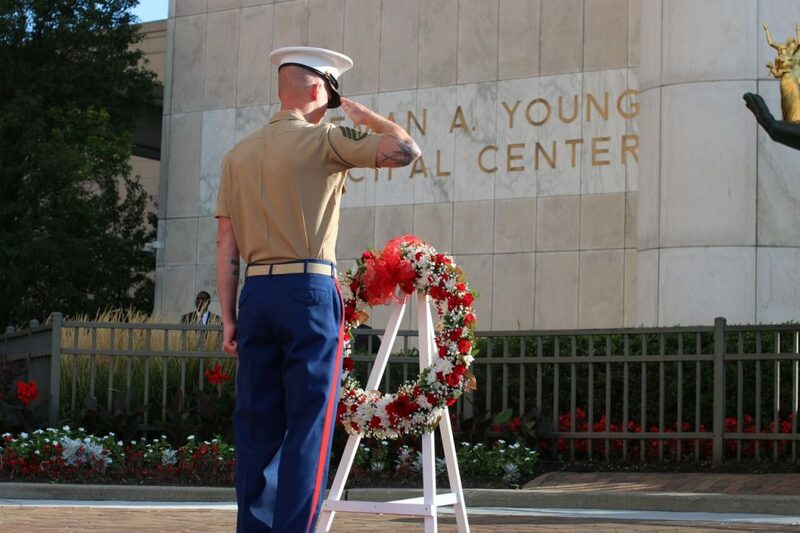 The public is invited to join the Marines and community leaders at Philip A. Hart Plaza for a remembrance ceremony in honor of the anniversary of the Sept. 11, 2001, attacks. 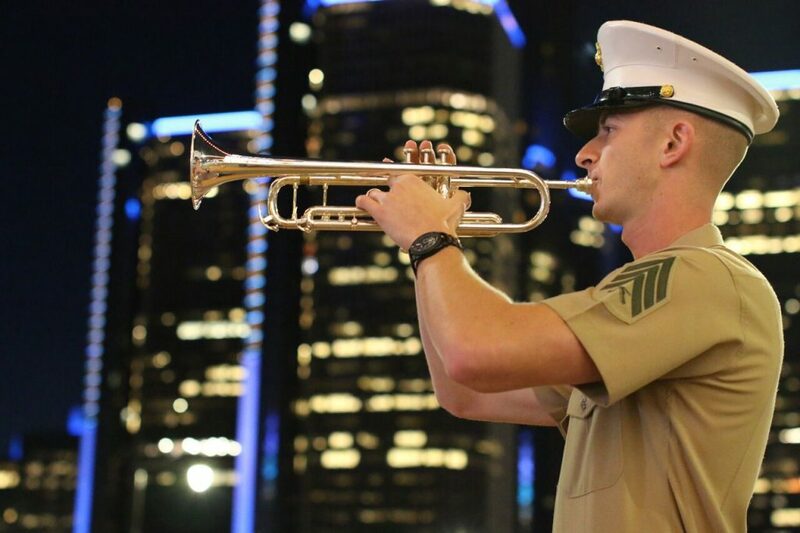 The Marine Corps will retire the national flag signaling the end of Marine Week Detroit. For the full Marine Week Detroit event lineup, visit www.usmarineweek.com. Social media users can stay up-to-date on all activities on Facebook at @marineweek, Twitter at @marine_week and Instagram at @marine_week. Check out more September family fun HERE. What a cool way to support our nation’s Marines, right? Have fun if you go!